If you’ve ever wanted to plant a tiny cactus farm in the middle of your living room, Patrón is here to help. The tequila maker is trying to help consumers learn more about its different boozes by bringing its Jalisco, Mexico, distillery to audiences wherever they are—using Apple’s new augmented-reality toolkit. 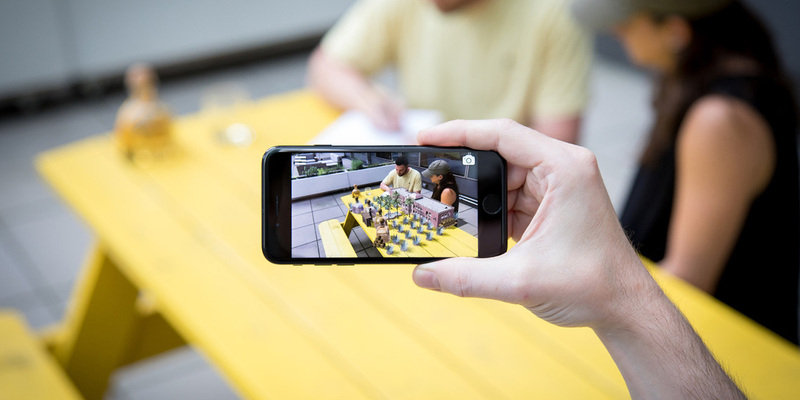 A new iOS11 app, titled “The Patrón Experience,” lets users project a tiny virtual hacienda—complete with tiny agave plants, and tiny field workers, and a tiny pastel mansion—onto any flat surface like a floor or table. A miniature virtual bartender, flanked by actual-sized versions of Patrón’s iconic squat bottles, will explain the difference between the four types of the brand’s liquor—including the classic Silver, Reposado, Añejo—to anyone who’ll listen. It’s a fun little parlor trick, even if it lacks some of the immediate practicality of Ikea’s Place, another early iOS AR app, which lets consumers project the retailer’s furniture into their own living spaces, to better visualize how a particular piece might fit. Apple announced its ARKit development framework over the summer, and launched it earlier this year. Developers are still exploring the possibilities, which generally range from playful to useful. 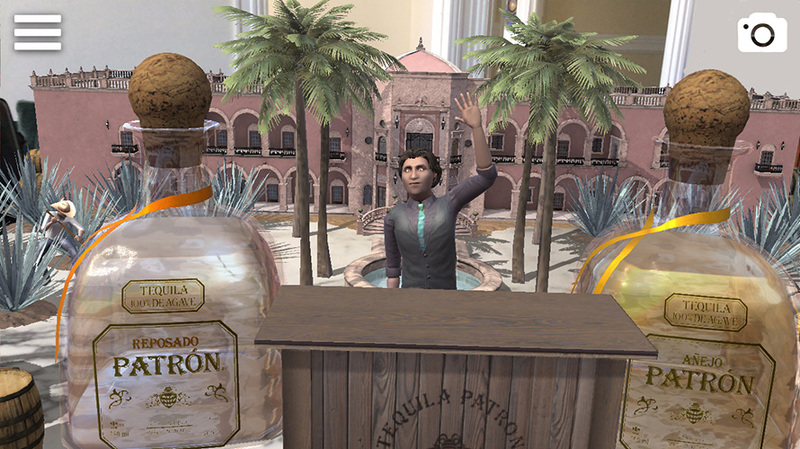 Patrón’s past experiments with new technology include a virtual reality tour of the same hacienda, with a deeper explanation of the distillation process, as well as “Cocktail Lab,” a voice-activated Amazon Alexa function, and “Bot-Tender,” a chatbot on platforms like Facebook Messenger—both of which offer cocktail recommendations and recipes to curious consumers. If only your smartphone could actually pour you a drink, too.